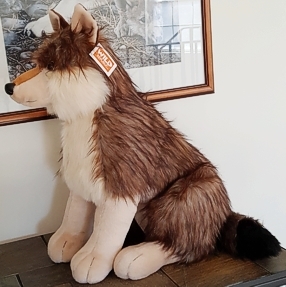 Our Big Sitting Plush Wolf has quickly become a Wolf Howl favorite stuffed animal. It is absolutely adorable and looks so real. 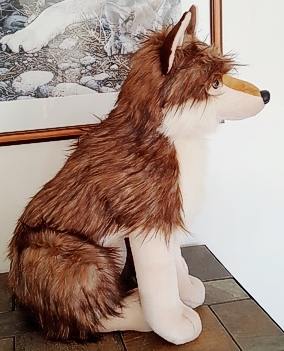 This plush Wolf is soft enough to squeeze and cuddle yet firm enough to sit up nicely. 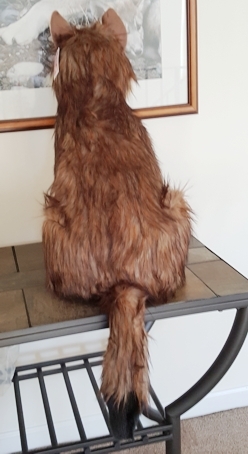 The fur is long in all the right places. We love the realistic long muzzle. 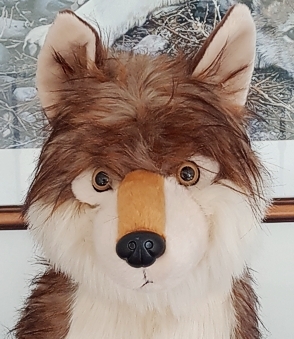 This is sure to please the most ardent Wolf lover.